A good friend of mine did her PhD researching and comparing the behaviour and intelligence of grey parrots and crows. When she finished her projects and became a Dr I made her this grey parrot and crow hanging to celebrate her great achievement. I hope she enjoys it as she always loved the birds she worked with. The pattern of the crow was taken from a German crochet book called ‘100 kleine Häkelfiguren’ (100 small crochet figures) by Andrea Biegel. 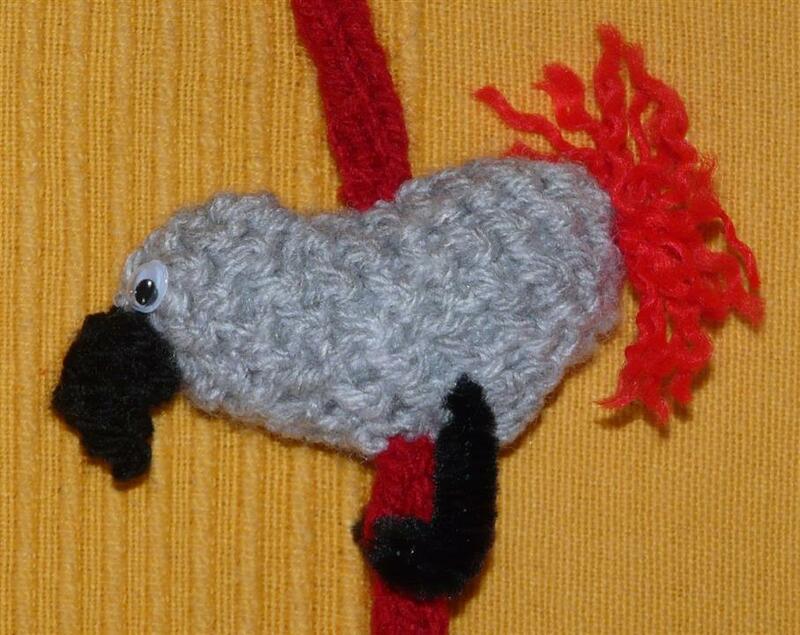 I then adjusted the pattern for the grey parrot, changing the feather colour to grey, the beak and feet to black, and the tail to red. I also adjusted the shape of the beak to make it more curved to resemble a parrot’s beak. The legs of the birds in this pattern were made from coloured pipe cleaners. I crocheted three birds of each type and assembled them on a string to turn them into a wall hanging. Of course you can use any type of amigurumi figure instead of the birds I used. What do you think about a wall hanging like this? Do you like it? 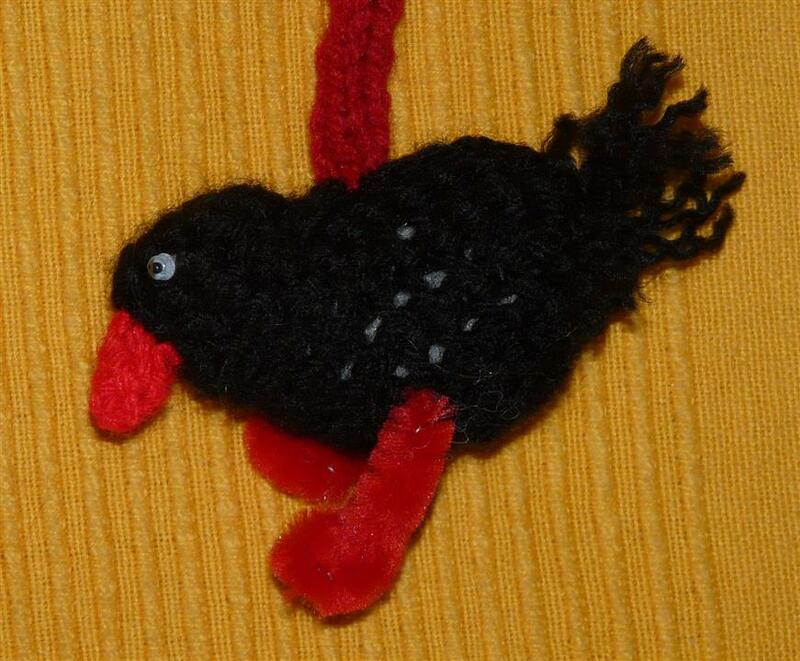 This entry was posted in crochet projects and tagged amigurumi, crochet, crow, parrot, wall hanging. Bookmark the permalink.